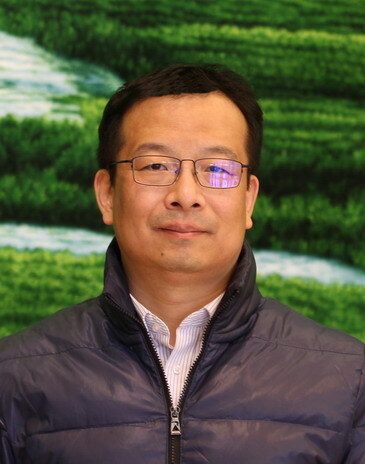 Ze Liu received his PhD degree in measurement technologies and automation equipment at Tianjin University, Tianjing, China in 2002. His Ph.D thesis is Research of Key Technologies in Electromagnetic Tomography (EMT) System. Then he work in Beijing Jiaotong University, Beijing, P.R. China. Now he is the Professor of School of Electronics and Information Engineering. In 2008 he has done postdoctoral research on non-destructive testing for one year at the Sensing, Imaging & Signal Processing (SISP) Group of the University of Manchester, UK. From 2010 he is often invited by the PML(Physical Measurement Laboratory), Quantum Electrical Metrology Division of National Institute of Standards and Technology (NIST) as a guest research during BJTU's summer vacation or winter vacation. 2015.6-2015.8 Supported by Quantum Electrical Metrology Division of PML (Physical Measurement Laboratory) in NIST (National Institute of Standards and Technology) as a guest researcher. 2014.6-2014.8 Supported by Quantum Electrical Metrology Division of PML in NIST as a guest researcher. 2012.7-2012.9 Supported by Quantum Electrical Metrology Division of PML in NIST as a guest researcher. 2011.1-2011.4 Supported by Quantum Electrical Metrology Division of PML in NIST as a guest researcher. 2010.5 visited Quantum Electrical Metrology Division of PML in NIST in short term. 2007.12-2008.12 Study in Sensing, Imaging & Signal Processing (SISP) Group of the University of Manchester in UK as a post-doctor. H. Xiong, M. He, Z. Liu, and L. a. Xu, “Electromagnetic tomography (EMT): image reconstruction based on the inverse problem,” Progress in Natural Science, vol. 13, no. 6, pp. 470-474, 2003. Z. Liu, L. Zhu, S. Ren, A. Koffman, B. C. Waltrip, and Y. Wang, "Electromagnetic rail inspection using AC bridge measurements. "2012 Conference on Precision Electromagnetic Measurements (CPEM 2012), p 724-5, 2012. Z. Liu, L. Zhu, A. Koffman, B. C. Waltrip, and Y. Wang, "Digital lock-in amplifier for precision audio frequency bridge." 2012 Conference on Precision Electromagnetic Measurements (CPEM 2012), p 586-7, 2012. Z. Liu, W. Jia, L. Zhu, and X. Zhang, "Rail defect inspection using alternating current excitation coils with digital demodulation algorithm." Proceedings 2011 IEEE International Instrumentation and Measurement Technology Conference (I2MTC 2011), p 4 pp., 2011. Z. Liu, Y. Xu, X. Zhang, Y. Pei, Y. Cheng, and W. Yin, "Simulation Study on the Characteristics of Carbon-Fiber-Reinforced Plastics in Electromagnetic Tomography Nondestructive Evaluation Systems." Proceedings of the 2010 International Conference on Measuring Technology and Mechatronics Automation (ICMTMA 2010), p 382-5, 2010. Z. Liu, W. Wang, X. Zhang, and W. Jia, "Inspection of rail surface defects based on image processing." 2010 2nd International Asia Conference on Informatics in Control, Automation and Robotics (CAR 2010), p 472-5, 2010. Z. Liu, X. Tan, and W. Jia, "An Image Reconstruction Algorithm Based on Tikhonov Regularization in Electromagnetic Tomography. "2010 International Conference on Measuring Technology and Mechatronics Automation (ICMTMA 2010), p 488-91, 2010. Z. Liu, and X. Sun, "A novel design of train air brake test instrument." 2010 IEEE International Instrumentation & Measurement Technology Conference – I2MTC 2010, p 637-40, 2010. Z. Liu, W. Wang, and X. Zhang, "Application of Online Collaborative Documentation and Knowledge Sharing Platform in Research Team." 2009 International Conference on Information Management, Innovation Management and Industrial Engineering (ICIII 2009), p 593-6, 2009. X. Li, W. Yin, Z. Liu, P. J. Withers, and A. Peyton, “Characterization of Carbon Fibre Reinforced Composite by Means of Non-Destructive Eddy Current Testing and FEM Modeling,” 17 th world conference on Nondestructive Testing, 2008. Z. Liu, M. He, and H. Xiong, “The design of a sensor with flexible circuit excitation in electromagnetic tomography system,” Journal of Physics: Conference Series, vol. 15, no. 1, pp. 276-281, 2005. L. Ze, H. Min, X. Hanliang, and X. Ling-an, "Boundary magnetic signal demodulation of electromagnetic tomography system." 2004 7th International Conference on Signal Processing Proceedings (IEEE Cat. No.04TH8739), p 519-22 vol.1, 2004.